I wrote this last year on the Jewish Holocaust Remembrance Day, and the response was really positive, mostly. I love genealogy, and it felt like an opportunity to “say their names” - remember. 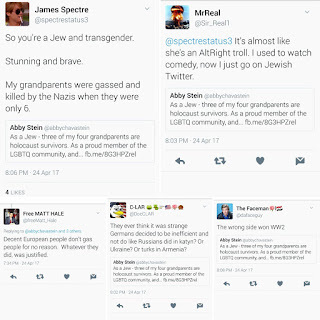 One unexpected result, was a slew of Nazis/Anti-Semites/haters Holocaust deniers trying to attack me on Twitter, I guess feeling triggered by a list of actual people, most of my direct grandparents that kinda contradicted their hateful or ignorant world view. So, I decided to share it again, and this time to update links for each name to Geni, because when we say Never Again, we mean it (and add their hate in the bottom, because, well, know thy enemy). Today is Holocaust Remembrance Day (or Yom HaShoah in Hebrew), remembering one of the biggest, and the most brutal genocide in human history. Between 1938 and 1945, and even more so with the roll-out of the infamous Final Solution in 1942, a fascist regime - by fueling the hate, racism, xenophobia, and antisemitism in one of the world's most ‘enlightened’ cultures - killed over a third of the Jewish people. At the same time they carried out a less discussed genocide against other minorities, such as the Romani People, people of lesser physical ability, and the LGBTQ Community. 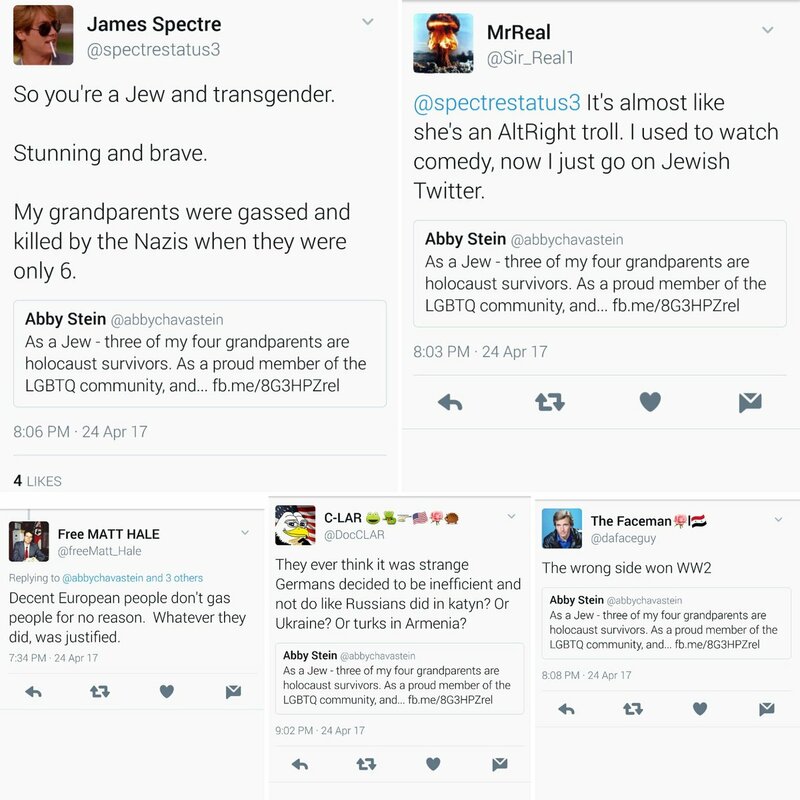 As a Jew - three of my four grandparents are holocaust survivors. As a proud member of the LGBTQ community, and trans woman - the Nazis killed thousands of my fellow community members, and set back medical transgender research by a few decades. They shut down Magnus Hirschfeld’s “Institut für Sexualwissenschaft” (Institute For Sexology), burned all his research, and killed most of its members. The Holocaust formed, and is still forming parts of who I am, in ways that I want it to, and in ways that I would prefer it stays out. It is who I am. Today, I wanna share with you all a list I compiled two years ago when I spoke at the Holocaust Remembrance day ceremony at the Columbia Hillel (center for Jewish student life at Columbia). In the past years, as I have been speaking for more and more diverse communities around the world, I have mentioned a few times that over 25 of my ‘direct’ ancestors (not family - cousins, aunts and uncles, etc. that number is way too high for me to count) went through the holocaust - some survived, some were killed. Often I am met with disbelief; so here is an exact list, with some details I remembered offhand. And while I am at it, why not give you all a crash course in my genealogy. Rabbi Mordechai Stein - born 1940 in Fălticeni, Romania, survived in Fălticeni. Currently resides in Brooklyn, NY. 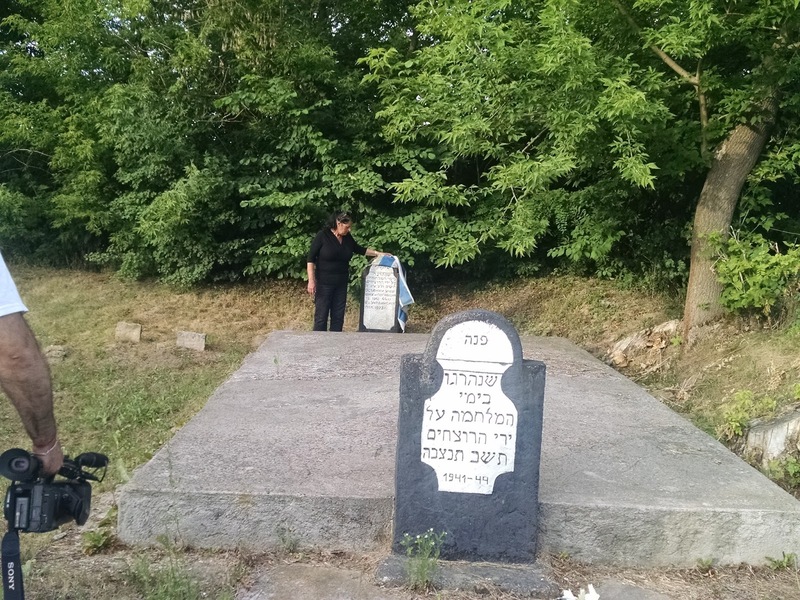 Rabbi Yosef Moshe Meisels - born 1924 in Galicia, Poland, survived in Hungary. Died 2015 in Brooklyn NY. Malka Meisels (née Schnek) - born in the 1920’s in Kanjiža, Yugoslavia (modern Serbia), survived Auschwitz and other death camps. Died 2013 in Brooklyn NY. 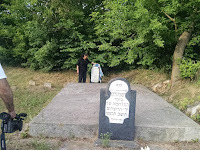 Rabbi Yisroel Avrohom Stein - born 1916 in Vyzhnytsia, Bukovina (modern Ukraine), survived in Fălticeni, Romania. Died 1989 in Brooklyn, NY. Sarah Stein (née Twersky) - born ca. 1910 in Suceava, Bukovina (modern Romania), survived in Fălticeni, Romania. Died 1997 in Brooklyn, NY. Rabbi Tzvi Hirsch Meisels - born 1902 in Sátoraljaújhely, Hungary, survived several death camps, and became Chief-Rabbi of the British DP Camps. Lived in Chicago IL after the war, died in 1974. Henna Zissel Meisels (née Teitelbaum) - born ca 1900 in Bobowa, Galicia (modern Poland), killed in Auschwitz in 1944. Moshe Schnek - lived in Kanjiža, killed in Auschwitz in 1944. Esther Schnek (née Mentzer) born in Kanjiža, killed in Auschwitz in 1944. Efroim Aaron Stein - born 1872 in Vyzhnytsia, Bukovina (modern Ukraine), died in Nazi exile in Kopaygorod, Transnistria (modern Ukraine) in 1943. Rachel Stein (née Fogel) - born in Vyzhnytsia, Bukovina (modern Ukraine), survived Nazi exile in Transnistria. Died 1957 in Israel. Rabbi Eluzer Twersky - born 1893 in Belz, Galicia (Modern Ukraine), survived in Bucharest, Romania. Died 1976 in Brooklyn NY. Rivka Rachel Twersky (née Moskovitz) - born in Suceava, Bukovina (modern Romania), survived in Bucharest, Romania. Died 1960 in Brooklyn NY. Rabbi Dovid Dov Meisels - born 1865 in Tarnów, Glicia (modern Poland), killed in Auschwitz in 1944. Roiza Beluma Meisels (née Teitelbaum) - born 1876 in Sighetu Marmație, Maramureș (modern Romania), killed in Auschwitz in 1944. Chaya Sheindel Teitelbaum (née Halberstam) - born in Bobowa, Galicia (modern Poland), killed in Auschwitz in 1944. Gitel Mentzer (née Goldberger) - born ca 1847 in Kanjiža, killed by the Nazis in 1944. Mordecai Aaron Mentzer - lived in Kanjiža pre war, killed by the Nazis in 1944. Faige Twersky (née Rokeach) - born 1861 in Belz, Galicia (Modern Ukraine), died in Warsaw Ghetto in 1941. Rabbi Tzvi Hirsch Kahana - born in Săpânța, Maramureș (modern Romania), killed in 1944. Mirl Geula Kahana (née Rubin) - born in Berezdivtsi, Galicia (modern Ukraine), killed in 1944. Rabbi Yitzchak Teitelbaum - born 1869 in Drohobycz, Austria (modern Ukraine), killed in 1944. Hanya Teitelbaum (née Langenauer) - Born in Hussaków, Poland (modern Ukraine), killed in 1944. Eliezer Schnek, killed in 1944. Rachel Schnek, killed in 1944. In total, 25 of my direct grandparents, great-grandparents, and great-great-grandparents went through the Holocaust. 9 survived, 16 perished. When we say “Never Forget” we mean it. When we say “Never Again” we mean it. When you see us scream “We have seen this before” believe us and take action. why 'killed' and not 'murdered'?